The Navy plans to deploy an MH-60S version of the Seahawk helicopter on a littoral combat ship deploying to the Western Pacific in 2016. Helicopter Sea Combat Squadron 23 (HSC-23), based at Naval Air Station North Island, Calif., will deploy next year with an MH-60S along with an MQ-8B Fire Scout unmanned aerial vehicle on USS Coronado, said CAPT Ben Reynolds, deputy commander of Helicopter Sea Combat Wing, U.S. Pacific Fleet, at North Island. 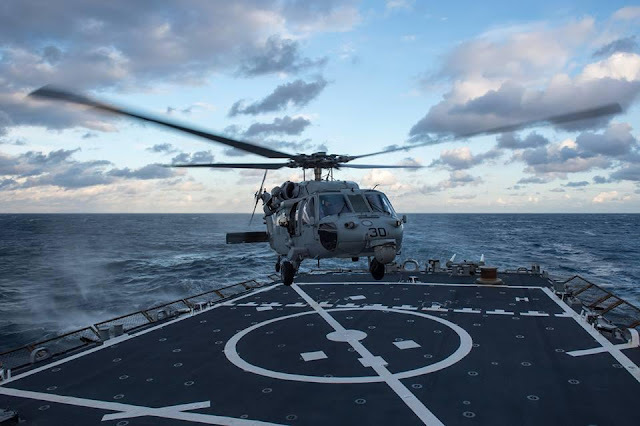 So far, all LCS deployments to Singapore have been provided by Helicopter Maritime Strike Squadron 35, which currently provides an MH-60R and an MQ-8B to USS Fort Worth.